Disappearing community access to primary care medicine is a serious national problem. Kauai’s north shore alone has seen 5 of 7 primary care clinics shut down since the year 2002. Uninsured and underinsured patients represent yet another challenge to healthcare delivery. 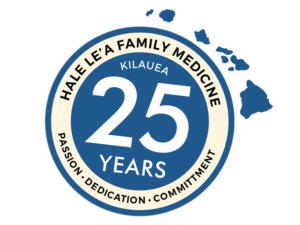 Hale Lea medicine represents a major point of access for our community’s healthcare system, and strives to address these issues in several creative ways. We all know someone who is uninsured. We also know people who have insurance that didn’t fully cover the care they needed. Whether uninsured or underinsured, KCHA’s Hale Lea Medicine clinic wants to provide the best care for everyone. The difficulty is that by providing uncompensated and undercompensated care to our community, the clinic operates at a deficit. Reimbursement for services that are paid by local insurance companies are so grossly insufficient that many clinics have had to permanently shut their doors. Add to this the burden of providing uncompensated services and we have a community access to care crisis. The Healthcare For Everyone initiative seeks to offset this problem by making up the loss your community clinic incurs. This way the medical clinic itself will not have to underwrite insufficient insurance reimbursements, nor the uninsured members of our community. Instead, the community, through grants, volunteers and donations, can help sustain quality medical care in its own backyard. This partnership between the community and its local medical providers is the hallmark of a sustainable healthcare model. One we hope will keep local medical services from sliding off the precipice, and keep quality medical care in our neighborhoods for now and for our children to come.